First introduced at Art Basel in 2000, the ‘Unlimited’ segment of the world renowned art fair offers galleries the opportunity to showcase large-scale installations that could not fit into a standard sized exhibitor’s booth. 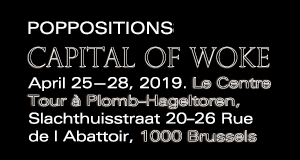 The exhibition hall features 88 projects selected by curator Gianni Jetzer and includes an eclectic range of sculptures, wall paintings, video projections and performances. 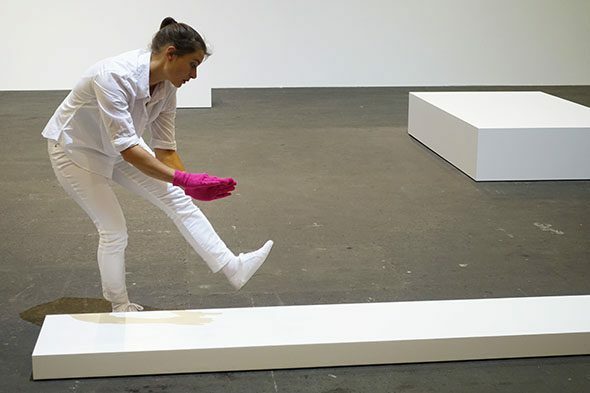 French contemporary artist Davide Balula uses the illusionary performance of mime to present a collection of invisible sculptures that exist for only a mere moment in time.’Mimed Sculptures’ challenges the viewer’s visual memory of the work by presenting sculptures in momentary fragments that are in a constant state of flux. Performed in conjunction with empty plinths of various sizes, each of Balula’s assistants shapes the air to reveal the invisible sculptural forms assigned to them. The fluid transient movements do not allow the viewer to make out the sculpture’s form in it’s entirety, but rather present the sculpture in fragments perceptible only when the contours and edges are defined by the performers. Visible only for a mere moment, each piece of the sculpture appears and disappears from view with startling ease with every flourish of the mime’s hands. 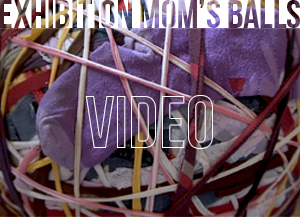 Intensely playful and thought-provoking, ‘Mimed Sculptures’ challenges the traditional, passive mode of art consumption by forcing viewers to use their own imaginations to construct the objects that hold their gaze. 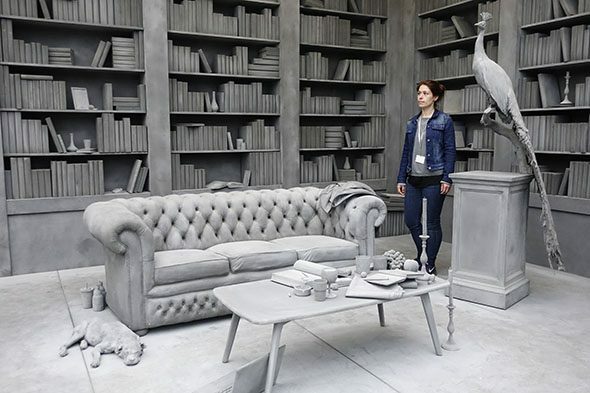 Belgian contemporary artist Hans Op de Beeck‘s immersive work ‘The Collector’s House’ is a highly staged scale installation of a neoclassical Wunderkammer-like room featuring a lounge, grand piano, art library, drawing room and lolly-pad studded pond. The entire room has been entirely sculpted by hand from soft grey plaster, giving the colourless space the appearance of being frozen and petrified for all eternity. Released from the distraction of colour, the viewer’s eye is instead drawn to the exquisite form of the objects that fill the room. 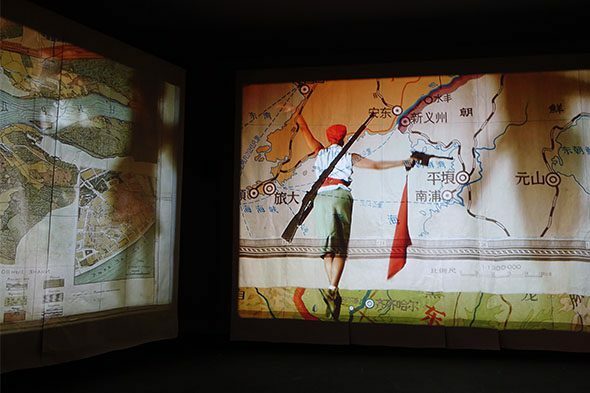 William Kentridge‘s past-paced video installation piece ‘Notes Towards a Model Opera’ is the product of the artist’s extensive research into the intellectual, political and social history of modern China. 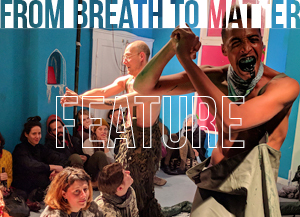 The three-channel projection explores the dynamics of cultural diffusion and transformation through eight model operas centring around the Cultural Revolution. In the video, Kentridge overlays the aesthetics, ideological transformations and appropriations of ballet as it has spread across the world, playfully juxtaposing it’s role in Moscow, Shanghai and the artist’s native Johannesburg. The video also features series of ink drawings on found paper which depict portraits of key figures within both the Cultural Revolution in China and the struggle for independence in Africa. The papers are also adorned with drawings of flowers and text from Chinese proverbs, Tang Dynasty poetry and Maoist slogans. Alicja Kwade‘s small-scale installation piece ‘Out of Ousia’ creates a sculptural environment that extends the limit’s of observable reality. The sculpture’s foundations are composed of a two-sided concrete wall, a double-sided mirror and a large piece of glass. These elements chart distinct perceptual spaces that coexist, but cannot be entered or viewed simultaneously. The refractory environments both feature a single branch leaning against their side of the installed concrete wall: one is a real found branch while the other is an exact copy made from corten steel. 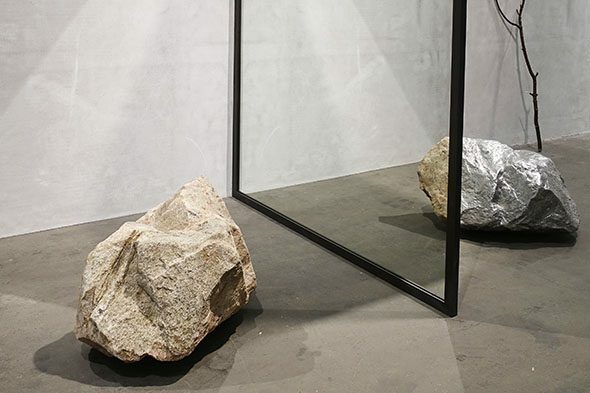 In another face-off, a boulder has been placed on one side of the floor against the mirrored wall while on the other side, an exact replica cast in aluminium adopts the role of the real boulder’s dark twin. 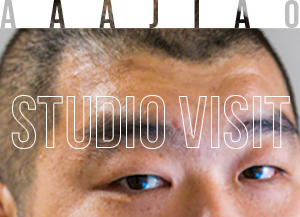 As the viewer circles the work, the quadrants begin to merge and bleed into each other, blurring the border between the true and artificial objects to form a new hybrid creation. The resulting optical illusion produces an alternative plane of viewing that can be experienced parallel to reality. Israeli-born artist Ariel Schlesinger‘s kinetic sculpture ‘Two Good Reasons’ features a graceful and surprisingly intimate dance between two animated sheets of paper.